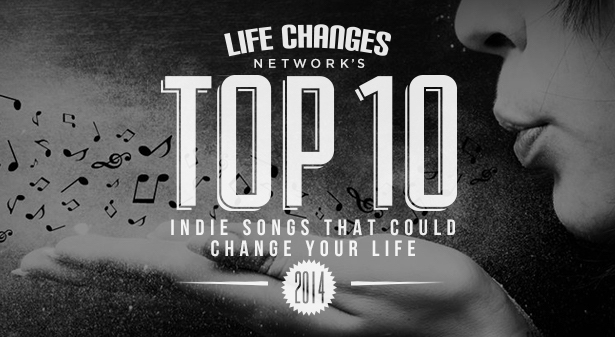 Expanding upon the success of the Annual Top Ten Independent Films That Could Change The World, the Life Changes Network is releasing its first ever 10 Top Indie Songs That Could Change Your Life 2014. The Radio Countdown with Special Guest, Shadoe Stevens, begins 7PM PT, Monday, December 29th on the Life Changes Network. Los Angeles, CA (PRWEB) December 23, 2014 — Much like the Life Changes Network’s Top Ten Film List, the Top 10 Indie Song List has already gotten much celebrity and music industry attention, namely from a man who is no stranger to Top Ten Lists – in fact, the Top 40 – perhaps the most recognizable voice in the world, Shadoe Stevens himself. On Monday, December 29th, at 7 PM PT, Life Changes Network will release the list of the Ten Top Indie Songs That Could Change Your Life 2014 in the form of a radio countdown, just like Shadoe used to do when over a billion people were listening to him on the air. “We all know the power of music. In contrast to mainstream countdowns, these songs are intended to make a positive difference in people’s lives and wouldn’t otherwise get attention,” says Filippo Voltaggio, host of The Life Changes Show. The list and all the songs in their entirety will air on the 29th during a Special 300th edition of The Life Changes Show. Co Hosts Filippo Voltaggio and Mark Laisure will have Shadoe Stevens as their Special Guest. “The stars could not have aligned more perfectly for this show,” says Voltaggio. The show promises to be touching, revealing, funny, entertaining and transformational. The eclectic collection of songs was curated by licensing partner Graham Penniman of SynchBIG, recorded at Studio NoHo in North Hollywood, engineered by Brent Hahn and executive produced by Dorothy Lee Donahue. Tune in online Monday, Dec. 29th at the Life Changes Network to hear the first ever Life Changes Countdown Show. The 300th Anniversary Show with the Top Ten List of Songs that can change your life in 2015!